Joe | #MyNameIsJoeThomas - TheUrbanMusicScene.com | Music Reviews! From the day he exercised his passion for music, Joe Thomas was bound and determined to build a name for himself, even though the rise to hit making greatness was slow in coming. The sparks did not immediately fly in the industry when his first single, “I’m In Luv,” hit the streets. However, this minor hit would be a major door opener in that his name and talent would impact the R&B market in many ways. This perseverance was rewarded five years later with a string of hits including “All the Things (Your Man Won’t Do)” and “Don’t Wanna’ Be A Player” (including the remix featuring Big Punisher) from his platinum sophomore release, All That I Am. From the time his 2000 follow-up, My Name is Joe that delivered some of his best work, “I Wanna Know” and “Stutter,” along with international crossover success, Joe locked in to charting consistently on the R&B/Hip-Hop Charts, marked by a smooth, yet classic powerhouse voice. Fast forward to 2014, where he has not lost a step blending old and new school R&B. 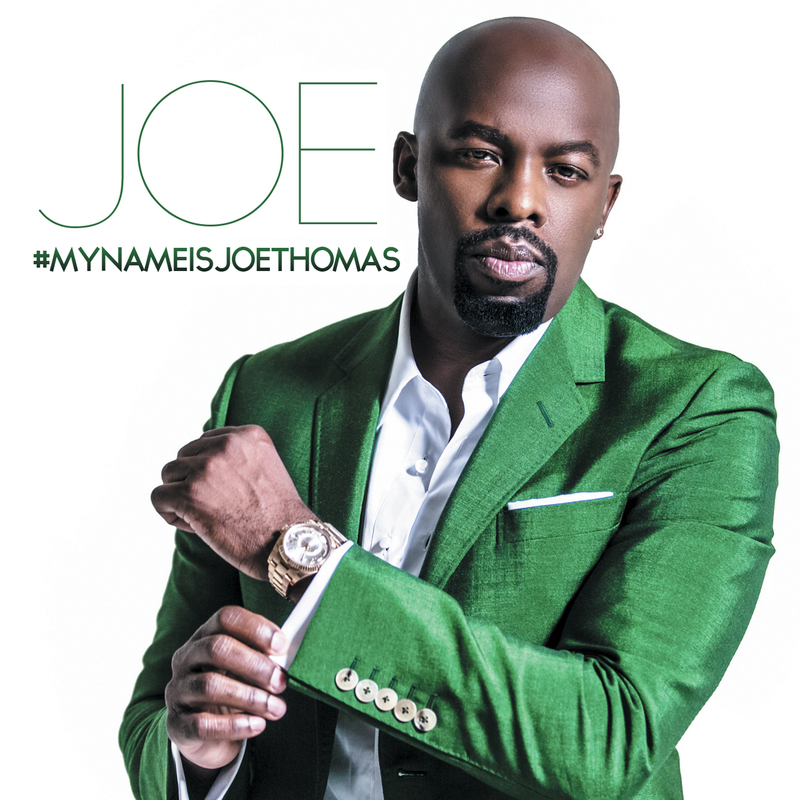 The 2nd release from Joe’s label, Plaid Takeover and album #12, #MyNameIsJoeThomas affectionately and understandably recalls his landmark achievement, My Name is Joe. Ballads pretty much dominate on most tracks, which is the territory where Joe excels with his rich tenor. “Lean Into It” centers around the trust and exploring in those sexually intimate moments, beautifully framed by piano and strings. Attractive percussion and acoustic guitar provide a pleasing Spanish flair for “Wear the Night.” A song of romantic redemption in “So I Can Have You Back,” the first single off #MyName, finds jealousy rearing its ugly head as evidenced by the accompanying video: “I hope he makes the biggest mistake/The unforgivable that makes your heart break.” “Lovecentric” revisits sixties and seventies soul as the subject speaks to sincere commitment to women, while the hip-hop frosted, “I Swear,” calls on men to treat females with the utmost respect. In a slight departure from the usual R&B swagger, “Hollow,” a tale of missing someone special in their lives, provides a sprinkling of contemporary country and a welcome organic arrangement. Despite #MyNameIsJoeThomas many gems, Joe’s passionate rendering of Adele’s, “Hello” that drew an overwhelming response on YouTube over a year ago, should be highly considered as the next single release. After over twenty years in the R&B game, no one is anywhere near ready to forget Joe’s name. Five out of five stars.